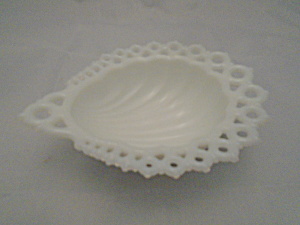 Fenton White Milk Glass Shell Dish. Each item is 5.25 x 4 x 1.5 in. deep. Mint. Each item is the listed price.